Having your servers off-site makes sense as Internet bandwidth speeds have increased dramatically over the past several years. You don't have the cost or risk of maintaining the infrastructure an on-site server room requires, nor do you have to spend resources on hardware, management, or disaster risk mitigation. In other words, if you have access to high-speed connectivity, moving your servers to a data center or colocation service makes sense. But there is a caveat to that, which is: Does the data center you move your servers to have the infrastructure in place to both provide excellent service, as well as protect your valuable data? At Atlantech Online, we believe every customer should thoroughly review a data center or colocation services provider before signing any contract. That's why we recommend our clients visit our data center before making their final decisions. You need to know, without a doubt, that your servers and data are both secure, accessible, and available when you need it. 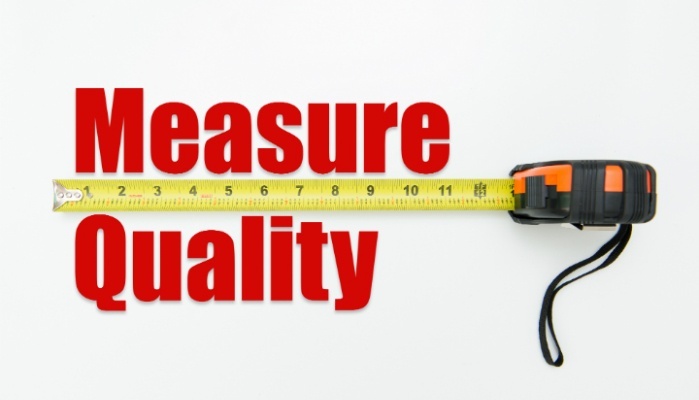 So how do you fully evaluate a data center? 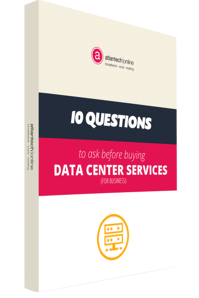 We field this kind of question a lot, and in this article we will talk about 7 critical factors to use in data center evaluation. This is not an exhaustive list, but getting positive answers to these items will jumpstart your evaluation. The availability of sufficient power to a data center is a critical requirement. The increasing demand of power from today's technology means data center and colocation services must have a higher power density than was needed a few years ago. Data centers with access to a dedicated substation are usually able to import as much power as necessary to keep their centers up and running. However, there should also be an investigation into their backup power options and procedures. Substations are not infallible, as we learned from the sniper attack on the PG&E substation in San Jose California. Data center providers should have a contingency plan in place in case of a breakdown from their primary source of electrical power. Foul weather and electrical equipment don't get along very well. In fact, weather can be the Achilles heel to even the most powerful data center providers. Not only do data center providers have to plan for storms and natural disasters, they have to provide a temperate environment for the servers to run at peak performance for day to day operations. This means, the data center must have sufficient measures in place to manage cooling, as servers have a tendency to heat up when under a significant load. The last thing you need is your servers overheating at the busiest time of the day. Ask your provider to explain how they keep their data center and equipment cool, and what kind of cooling redundancy they have in place. Any data center provider can showcase the measures they have in place to prevent disasters. But what do they have in place if a disaster does occur? Not having protocols and procedures in the event of an emergency opens up their clients to additional risks. A trustworthy provider will not only have measures in place to prevent disasters, but they will have a clear and understandable strategy of what to do if and when something does happen. What kind of fire monitoring and suppression systems are used in the data center? What emergency response measures and procedures are in place? What kind of training do employees undergo to mitigate disaster risks? Location is a critical factor to consider when choosing a data center or colocation service provider. In emergencies, your staff needs to be able to access the servers, and depending on the type of emergency, hard-to-reach facilities will only exacerbate the negative effects of the emergency. Secondly, location of a data center in geographical threat zones is a big problem. Seismic activity (earthquakes) and severe weather like tornadoes or hurricanes put your data at risk. Make sure your data center is close enough for quick access in an emergency and make sure the facility isn't located in a geographical risk zone. The operations of a data center are all the things outside of your control that you must entrust to the provider. These are things like maintenance on power generators and cooling systems. Some providers have tried to scale back maintenance and equipment replacement to lower operation costs and increase profits. While this might not spell disaster right away, it does increase risk over the long term. A reputable provider should be able to provide records of maintenance and schedules so you can determine if their procedures are adequate. Pay particular attention to how often redundancy systems are tested. While backup power generators may not be needed for years, you don't want to find out they aren't working when they are needed. Instead, an ongoing, consistent testing of all equipment should be a top priority for a data center provider. Most companies focus primarily on cyber security when evaluating a data center. While this is definitely critical, you can't overlook the need for physical security. No matter what cyber security measures are in place, protecting servers from physical data breaches, attack, destruction, or theft is just as important. Data centers should have sufficient security both externally and internally. There should be a strict access control policy that allows only approved credentials access to sensitive areas. The data center should be under constant video surveillance, ensuring all activity is monitored and recorded. Door control and physical intrusion should be protected with alarms and redundant systems. Depending on what type of organization you are working for, compliance with government regulations varies in importance. Whatever regulations apply to your company or organization, that regulation extends to your data center. If you are under HIPAA, the data security requirements must also be met by your data center or colocation services provider. We recommend securing documentation that provides the information of how the data center is regulatory compliant. This will allow you to match it with your requirements, and also have documentation in the event of a compliance review. While our data center and colocation services may not be the best fit for every business, we still recommend you visit our facility and speak with our experienced sales professionals. Whether you ultimately decide to choose Atlantech for your data center needs, visiting our facility will give you valuable information you can use when you are vetting other providers as well. Make sure you get answers to the tough questions, and find a provider you can trust before putting your company's valuable data into their hands. We are local to the DC Metro (DMV) area and would love to show you around our data center. You can schedule a visit through our website, or contact us at any time. We stand ready to provide you service and answer your questions. Get all the information you need to make the smartest decision for your business' data storage needs.